Assumptions of a return to the normality of the last decades are unfounded - this lecture considers the global economic and social evidence and draws out some scenarios for the next decade. It then goes on to review the way in which organisations have aligned themselves, and identify five qualities essential for organisations to thrive in the next decade - while many organisations may have one or two, few have them all. The lecture builds on the ground-breaking work of the Challenge Forum and participants will be invited to use an online questionnaire to assess their organisation's capabilities. During the lecture Gill will draw upon recent research to be published in a book, Beyond Crisis, co-authored with Dr Oliver Sparrow and Patricia Lustig and due out from John Wiley in February 2010. 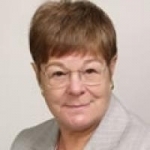 Gill Ringland is CEO and Fellow of SAMI Consulting. 1.Why are previously successful organisations appear to be floundering?. Was it all down to the financial crisis? What else could be causing it? 2.What should leaders do? The principles are clear - we can provide a framework for this new environment, for organisations to develop their own future. We call our framework a PS-RO - a purposeful self-renewing organisation. The book on which this lecture is based is Beyond Crisis, and has three authors. Oliver Sparrow will be familiar to many of you for his visionary sweeps of the global landscape, I have realised that making decisions looking forward is better than looking in the rear view mirror, - hence my work on scenarios - and Patricia Lustig is well known in leadership and organisational development. We are going to take a journey. It journey starts with the feeling, in many successful organisations, that "its not going as it should" - maybe the bottom line is still positive but it's a lot harder than it used to be. What should a leader consider? Internal or external factors? We will see that these are linked, and so start by characterising the business environment to see if this might be a factor. The first factor is interconnected ness. It goes without saying that people and economies are increasingly interconnected in our world. Over the past decades, the rich nations - led by the US and Europe - have set the international agenda. They have exported technology and social attitudes to the industrialising nations and some of the poor nations, and the US consumer has essentially driven world markets. Migration from the poor countries has fed the economies of both the rich and the industrialising nations. So events in the US continue to have a major impact globally. Over the last decades, US consumers have driven the world economy, and this graph shows that this has been through debt. Commercial debt, though smaller, has also grown and is important to the economy. One of the effects of the banking crisis in the UK has been to remove many of the lenders to commerce from the scene, hence reducing choice and flexibility - and increasing the cost - of borrowing. Corporate treasurers find that sovereign wealth funds for instance are used to dealing in larger tranches and longer periods than much commercial lending, so that the true cost of borrowing is higher. How large are the debts in the UK? Consumer debt is £1456bn (in July) compared with £816 bn government debt. And what about the cost of bank bailouts? This figure shows that the cost of the 2008 bank bailouts in the US dwarf the Obama stimulus plan, the Savings and Loan crisis, costs of wars etc. It has been estimated at $700 bn. Clearly, the concern is whether the taxpayer will pick up the bill or whether - if it is to be repaid - it will cripple the economy through strangling lending to business and consumers. Not all countries and regions will see the same effects. China and India are showing "no worries" growth. India in particular is continuing to move up the added value chain and develop financial and business services as we foresaw in our report for the City of London on China and India. The middle income industrialising - Malaysia, South Africa, Mexico - countries are finding it hard slogging and are adjusting bank rates to deal with inflation. The developed countries and regions in the top half of the figure will have at best a slow return to Business As Usual. But while the US, Europe and Japan are struggling, the world is not standing still. We are all aware of the forecasts of the growth of the BRIC economies, and that China has recently overtaken Japan as the second largest global economy. So we need to plan for ongoing effects of the financial crisis, including a shift in the global balance of money and power. What else could be happening? Well, it is clear that the biggest challenges to western organisations are still to come: these are the global systemic forces at work. These two graphs illustrate how the world is changing. The global population is rising. The big difference by 2025 is the high relative growth in population in Africa and Latin America, and the comparatively small and flat populations of Europe and Northern America. Influence can be expected to follow population as the economies grow. The right hand graph looks similar but it starts at 1850 rather than 1950. This highlights not just the growth in graduate population but also that 90% of people by 2025 will have completed secondary education - driven for instance by the literacy drives in China, parts of India and many industrialising countries. This is the trend that scares the UK educators that we work with - they think that we have stalled at 80%. So our world is becoming more densely populated and more educated, and the balance is shifting away from Europe and North America. 1.Globally, the slope of the bars for all the regions are in the same direction - the ratio of young to old is decreasing as people live longer and birth rates decrease: the ratio of under 16 year olds to people over 45 is decreasing, the globe is ageing. 2.There is a high proportion of young people in Africa compared with those over 45 - the ratio is 3 times. This compares with about .5 in Europe. The high proportion of young people in Africa is due at least in part to advances in public health. 3.The ratio is decreasing particularly fast in Asia. This reflects the static population in Japan and the one child policy in China, and would be an even steeper decline if it was not for the Muslim counties and India with larger families. So, globally we have an ageing population. This has and will have severe economic effects in Europe and East Asia. The third factor which will affect us is the value systems that predominate in our future interconnected world. Clearly the last century was dominated by Anglo-American values- seeking a society which avoids harm and holds fairness as important. Traditional societies have different priorities, being more concerned with purity, authority and affiliation. The left hand graph is neural economic studies by Haidt, the right from gaming experiments by Herrmann et al. In the Middle East and Russia, the majority were only weakly concerned to punish those who cheated, whereas in Boston, Melbourne and Nottingham - this surprised me - Nottingham! - Many more people wanted to punish those who cheated. So in the next decades we cannot assume that western values will dominate, as economies with different value systems have an increasing influence. The world may not aspire to western values. The implications for Europe & the UK - where many countries have immigrant populations nudging 10% - is to challenge the assumption that immigrants from traditionalist countries will take on western values in any near term. And no discussion of global systemic issues would be complete without considering the environmental system limits on our planet. This graph captures our global footprint in 2009: it's by Rockstrom who also had an eloquent piece at the recent Oxford TED. It shows three measures which are beyond the sustainability limit - where we may not be able to recover - carbon dioxide, ocean acidification and stratospheric ozone depletion. This chart is proving helpful in our work on sustainability with food companies, as they need to consider resourcing in ways they have not needed to in the past. 1.2. Urbanisation has for the first time reached half of the world's population, and is expected to hit 75% by the middle of the century - leading to increased education levels, particularly for women, and reduced family size. This ancient Chinese map of the world is thought to be the oldest representation of 'here be dragons' for uncharted territory. We believe that the next decades will be 'here be dragons' territory. But St George was able to slay the dragons & though we are only St Andrews we can nevertheless provide a framework for getting started. But, leaders say - they didn't teach me dragons at Business School! They taught me how to operate within a well specified set of rules - finance, Shareholder value, Total Quality Management, and so on. If we are in uncharted territory - what can we do? Much of the management teaching in business schools is about efficient management - core capabilities, outsourcing, total quality management, shareholder value and so on. This style of management is well tuned to 'The Great Moderation' - the benign period of post-war relative stability and continuous growth. If the world is stable and the rules are clear, then it is appropriate to adopt a management style which focuses on efficient implementation within known rules. Organisations have become highly complex and well attuned to the benign environment. But as history shows, these characteristics lead to extinction at a time of fast change. And even before 2006, there were beginning to be signs that something was missing, that the perfect execution of highly specified tasks might not be enough. This sense that something was missing was picked up in a survey of nearly 100 companies published by Voss as early as 1998. He found that all the activities rated as 'better' were of the highly specified type, such as TQM, customer focus, order release.All the activities rated as 'worse' were less well defined - from new product development through to innovation and shared vision. And it is clear that these less specified activities are those that allow it to change as the business environment changes, to renew the organisation. How can organisations get better at these activities related to renewal? To explore this issue we have developed a double cone model of an organisation. The upper cone is the existing organisation, concerned with efficiency, risk and performance. This balances on the ball bearing, the asset allocation processes that set the priorities for the organisation - strategic planning, project initiation, budgeting. This is a stable configuration if the environment is benign and growth steady, the cone can balance on the ball bearing. In a turbulent world we need to be sure that there is a solid base, a solid lower cone, supporting the ball bearing - the project initiation and asset allocation processes - and hence the upper cone. However, connecting the ball bearing to the present and future environment are the activities that leaders feel they are worst at - new product development, technology strategy, innovation culture, employee involvement, shared vision. What these activities can degenerate into is a set of ad hoc activities, lobbying by Divisional Directors, etc. How can this lower cone become a place that leaders are confident and organisations effective - how to be effective at the activities needed for renewal? Are renewal activities the role for the strategy director? Not just, as a study by IBM showed. IBM studied over 600 companies in 2006, and found that new ideas came predominantly from employees, business partners and customers - all of these people in or touching the upper cone. But the people in the upper cone have targets, priorities and a 'day job'. When ideas are sparked as part of their work, how do they get to the state where they can be turned into actionable projects? This needs a context, and it is this context that we call a PS-RO, an organisation that is able to renew itself. These three qualities need to be underpinned by machinery - as in the machinery of government - and set within the organisation's values. To illustrate the role of values and narrative, here is an example. Rolls-Royce has since its establishment over a century ago held the values of engineering excellence. The narrative, on the other hand, describes what the firm does, and gets reviewed regularly & evolves - the organisation will evolve, and business units will also have their own narrative. The narrative above appears on the Rolls-Royce web site. A trend is a trend until it bends. As part of our work on insight, we are exploring the concept of 'Expected Surprises' - how can we get better at both recognising signals of change and readying our organisations for the events which in detail of timing or magnitude are uncertain, but certain to happen 'some time' - we would be happy to share this as it develops. The fourth quality, options, covers the harnessing of innovation to improve the organisation's portfolio of assets. This chart illustrates the increasing pace of innovation and change - it is from a blog called trailblazer business futures - and identifies some of the innovations, in this case, relevant to a low carbon future. In many field, not just low carbon, the pace of innovation has increased driven by technology has increased. But not all innovation is technology driven; It may be driven by harsh changes in operating conditions. In one example, a public sector organisation was asked to reduce its budget by 40% over a year, while maintaining services. By asking basic questions about the standard of service, one of the units - responsible for issuing licenses - reduced its staffing from just under 100 to 6, while reducing the turn round time for applications from months to two weeks. The options quality harnesses innovation to renew the organisation, in combination with values, narrative and insight. The fifth quality and last quality, which we have not yet described, is the underpinning machinery. Without machinery an organisation cannot implement. People processes need to be in place to provide an environment for renewal - openness, trust, and challenge. And importantly they need to link the people in the upper cone - the efficient organisation - with the people in the lower cone - responsible for leading on insight. Without the contacts and experience of the people at the front end - the employees, who talk to partners and customers, as shown by the IBM study - renewal will be less successful. The attitudes of openness trust and challenge need to be supported by communication - knowledge management and open communications - obviously including but not limited to ICT. And finally, transparent processes for asset allocation - developing and reviewing options and introducing them into the portfolio. 3.The environment encouraged openness, trust and challenge - setting these values is a vital task for leaders. A very good case study of how all of this works in practice appeared in the Economist last September and is included as a case study in the book. In 2000, Cisco's insight showed them saturation and price decreases in their existing markets. They decided to get 25% of their revenue by 2010 from businesses that did not exist in 2000, a clarity of direction. They adopted a narrative 'supplying the connected economy?. They set up a number of projects staffed by a mixture of dedicated staff people and those with existing line roles, and emphasised the importance of collaboration across the firm on the new lines of business. The Value of collaboration was emphasised, and machinery set up to underpin this. They use a number of peer review mechanisms as ideas moved from ideas to options for new business. They used ICT extensively and lots ofcommunication - formal task forces and informal groups. Managers typically belong to several Councils which oversee the development of ideas into new businesses. By 2009 they were happy to discuss the project with the world as they had achieved their goals. How do I know what to do first? Pulling the five qualities together, we can see that any implementation needs to be iterative, in cycles of renewal - as in this figure. All organisations are different, so we have a high tech tool for helping organisations to understand their strong areas and where attention is first needed. It is a pack of cards. The cards ask questions like: What assumptions do people in your organisation make?? How does your organisation get to understand the important trends in the external environment? And they ask - are they fit for purpose now? Are they fit for purpose in the future? They can be used to promote discussion at a Board or Management team AwayDay or to create a heap of cards relating to issues to be tackled! And hence the basis of a plan. If you give me your business card afterwards we will gladly arrange to come and work with you to diagnose your organisation. We do not have a silver bullet and we are not St George - but we are St Andrews! So to summarise, in this new world, leaders in organisations - public, private and NGO sectors alike - are finding that strategy needs to be adaptable - that organisations need to behave like PS-RO's - purposeful self- renewing organisations. 2.Five qualities and a cycle of renewal provide a framework to face this turbulence. 3.The principles are clear and implementation is relatively straightforward - but - all organisations have to adapt the principles to suit their style and history as well as their desired future. Our collective future in the west depends on our organisations being able to renew for the new world order - and we hope this work forms a stepping stone in the right direction. If you would like to know more about anything I have mentioned, please talk to me or one of the other SAMI people, such as Eric Kihlstrom or Jane Langford.